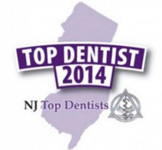 Based on track record, expertise and experience, Dr. Bogg has been voted as one of the Top Dentists in NJ. Dr. Navin Bogg is the GO TO dentist and a really nice person! Dr. Bogg has been practicing for over 20 years and listens to her patients’ needs and treats them as she would treat her own family members. Her favorite saying is “do unto others as you would have them do unto you.”… and that’s the credo she lives by at home or work and teaches dental students and residents. 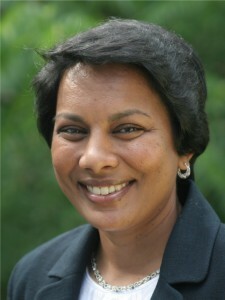 Originally from India, Dr. Bogg came with her husband to the US to further her education. She earned her DDS in 1994 from Columbia University School of Dental and Oral Surgery in NY. She did a two year residency at Montefiore Hospital in the Bronx from 1994 – 1996, where she was the chief resident from 1995 – 1996. After working in several other dental practices, in 1998, Dr. Bogg decided to strike out on her own and open her own office, where she could practice in her own distinctive, caring style. She loves to provide all-inclusive dentistry, giving the patient the best care possible, with the latest techniques and technology. Being dentally educated in India, Canada and the US makes her dental tool chest that much more plentiful. She explains and educates her patients about all possible treatment options and helps them make an intelligent decision about their treatment. 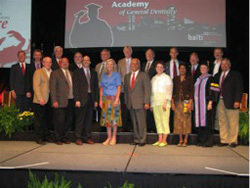 Dr. Bogg is a fanatic about Continuing Education, also known as CE. Although the State of New Jersey requires only 20 hours of CE a year, she takes close to 150 hours a year to keep up to date with the latest changes and to be able to provide all the latest options to her patients. This has led her to achieve her FAGD (Fellowship in Academy of General Dentistry) in 2000, and her MAGD (Mastership in Academy of General Dentistry) in 2003, both at a very young age. A very giving person, Dr. Bogg also finds time to visit local schools for dental health month each February and gives the children talks and presentations about prevention, oral and dental diseases and dental health maintenance. Almost every year she picks a school in her town and offers free checkups to the kids of that school at her office. She also helps out with local health fairs organized through the township and local churches. 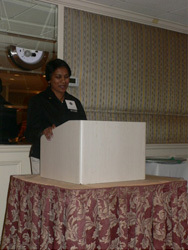 Dr. Bogg enjoys her volunteer work with Special Olympics NJ, where she helps out with dental checkups for the athletes. She lectures at various residency programs on a professional level and has given lectures at the Master track and annual session levels to fellow dentists. Professionally, Dr. Bogg belongs to the ADA, AGD, NJDA, NJAGD and IAO. She has served on the Board of Directors of NJAGD since 1999 and moved through the ranks to the Presidency, which she held during 2008-2009. She is still very much involved in NJAGD, co-chairing the group’s Masters-track program, helping other general dentists achieve one of dentistry’s highest goals. 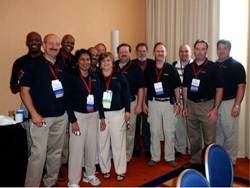 Dr Bogg also serves as a council member for PACE at the national level for the AGD. 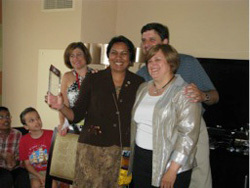 Giving of her time, within her profession and within the community, has led her to receive the coveted LLSR (Life Long Service Recognition) award in July 2009. She is one of the youngest – if not the youngest to have achieved this honor. 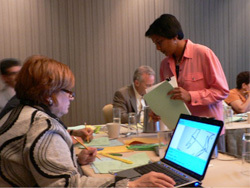 Dr. Bogg values learning and education, and continues to hone her skills. Currently, Dr. Bogg is working toward a fellowship with the International Association for Orthodontics. At home, Dr. Bogg is a busy mom who, in addition to being her kids’ chauffeur, enjoys being part of her kids’ activities, like art, music, hiking and camping and taking care of the numerous pets. She is the Leader of a NJ 4H club called Raging Reptiles. She is a board member of Uplift a Child, a charity that provides education for children that are less fortunate in her native country, India.